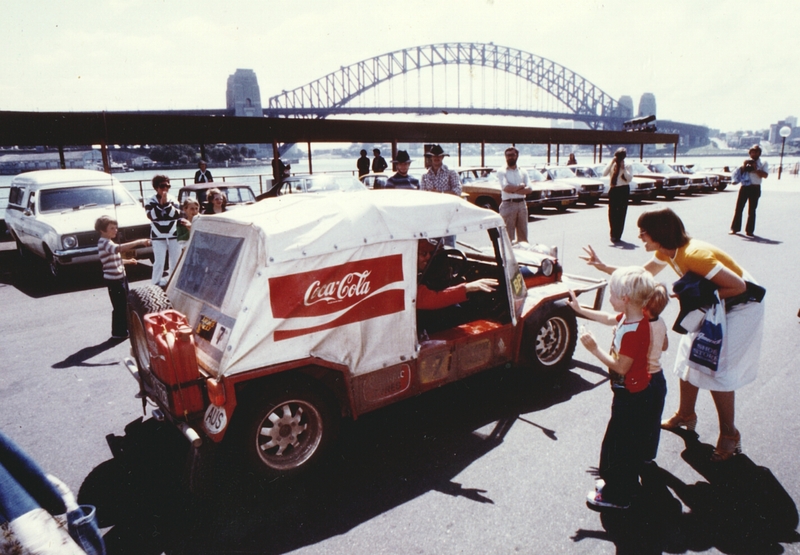 After a deep dive, and I mean a d-e-e-p scrummage in some old photo boxes I have unearthed a couple of memorable shots from the 1977 London to Sydney Car Rally. Remember, it was supposed to be 30,000km through 30 countries in 30 days. Turned out it was more like 45,000km, through 31 countries in almost 40 days. There were times it was a tough grind, and others when we marvelled at the places we were visiting, not knowing that world events over the ensuing 30 years would preclude such an event ever being run again. My dear friend, the late Wylton Dickson who organized the Rally on behalf of his sponsors Singapore Airlines worked just as hard as the competitors to organize it; run it; worry about it; find the money for bribes, and many utterly frivolous extra charges - and then to see it finish on time at the Sydney Opera House. This post was initiated due to some photos taken by other parties turning up in the shoe box marked 'Miscellaneous Photos'. 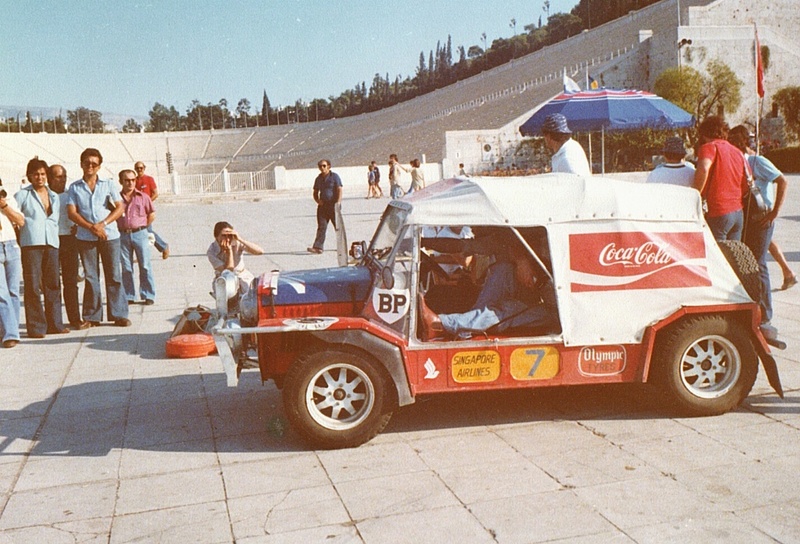 Like the shot taken by Australian motoring writer, the late Mike Kable, as the Moke was preparing to leave Athens. 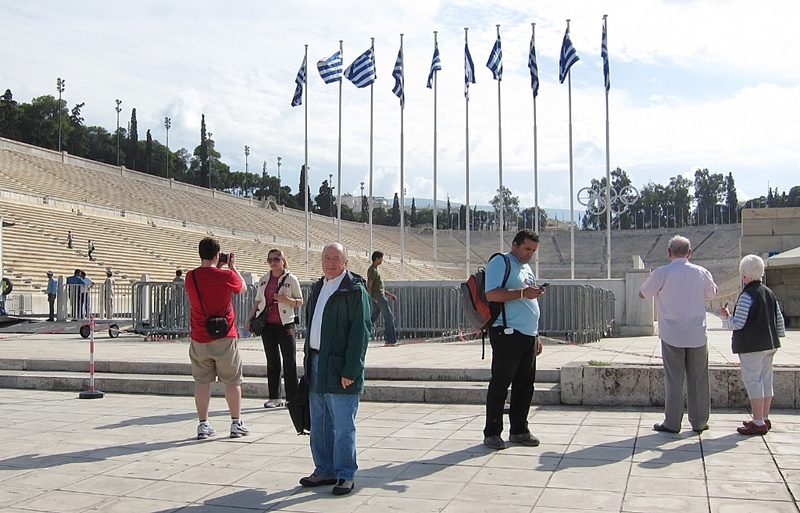 The competitors had been promised an 11-hour stop in Athens; so Hans Tholstrup and I commandeered poor old Mike Kable's room at the 5-star Grande Bretagne Hotel; only to be woken four hours later by Mike pounding on the door yelling: "The organisers have moved the start time, you're due at the Olympic Stadium, now!" All this after a frantic search on our arrival in Athens the night before, to locate the BMC dealer, and acquire some spare parts, which then had to be fitted on the start line at the Stadium. The officials from the Athens Motor Sports Club kindly hung around, waiting for us to finish repairs, so they could stamp our Rally Book, allow us to leave; then close up the Control Point, go home and have breakfast! Some thirty years later during a Mediterannean Cruise we left the ship, so I could take a nostalgic visit to the scene of all the fuss! 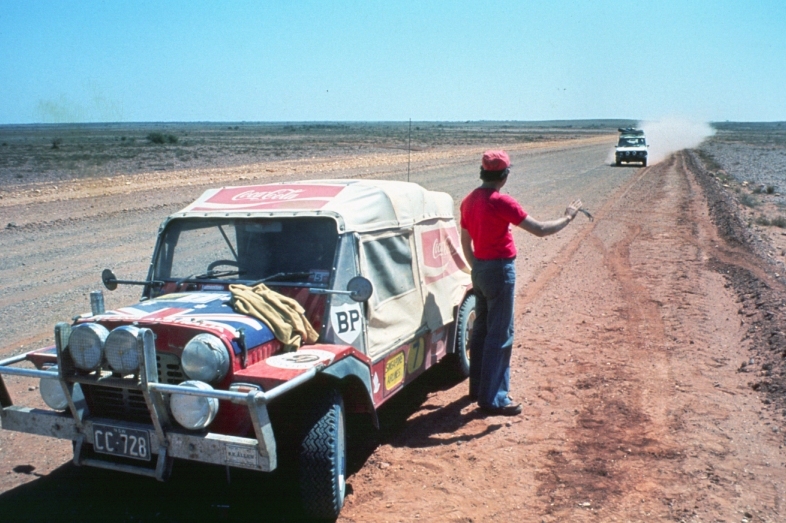 Then when we were stopped in the desert between Uluru (Ayers Rock) and Alice Springs with a broken front suspension, one of the other competitors took this shot of me flagging down our Range Rover support team. They had been waiting 30km down the road for the Moke, and decided they better come and look for us! However, the most touching photo for me is one taken by a neighbour of my mother's, who drove her to the Sydney Opera House, to join my long-suffering wife and our two small sons who were seeing me for the first time since June 1977, when I left Sydney to fly to London.